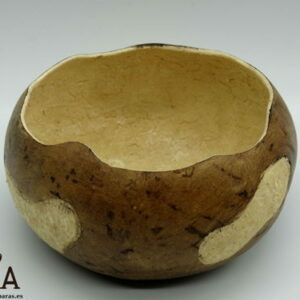 Txapel rustic decorative bowl, this bowl made of gourd, cultivated by ourselves and carved by hand, is designed for the decoration of a rustic environment. 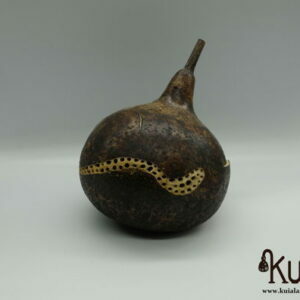 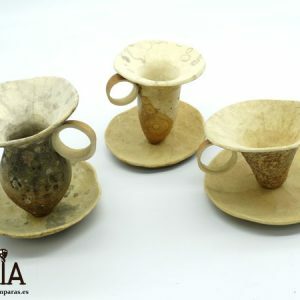 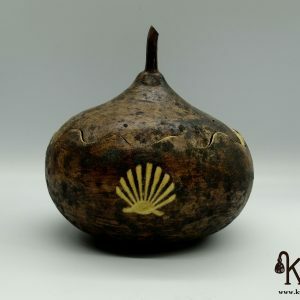 Its natural color, from the gourd itself, like wood color tone makes it attractive for a rustic and natural decoration. 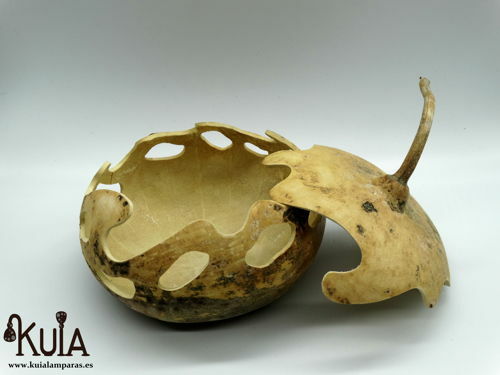 The bowl, with holes in its sides carved by hand, and a lid, which belongs to the same pumpkin. 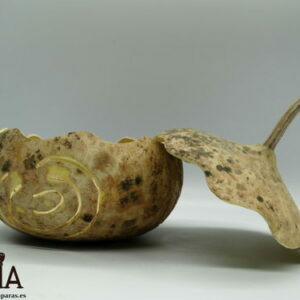 The stem of the gourd, makes the function of the handle of the lid.This bowl can also be used as a candle holder, to create a pleasant and comfortable lighting. 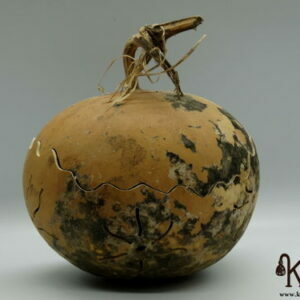 It is a very original gift, for lovers of nature, ecology and craftsmanship. 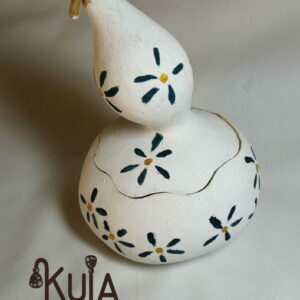 Give this bowl and you will give something unique to your most beloved.